The 2015-16 season provided many memorable moments for Comets fans to look back on. From raising the first banners to The AUD’s rafters on opening night, to the thrilling Game 3 overtime win and all moments in between, the 2015-16 season was one to look back on with pride. Banners Fly: The Comets season officially kicked off with two road games, however, the memories start with the home opener. The Comets faithful honored last year’s record setting team by flying two championship banners achieved during the unforgettable 2014-15 season. Alex Biega, and Cal O’Reilly, did the honors of unveiling the first banners to grace The AUD’s rafters. Hunter Shinkaruk put the cherry on top with his first of two hat tricks this season to earn the Comets their first win of the year. The First of Its Kind: Off the ice the Comets made their marks on the community as well. 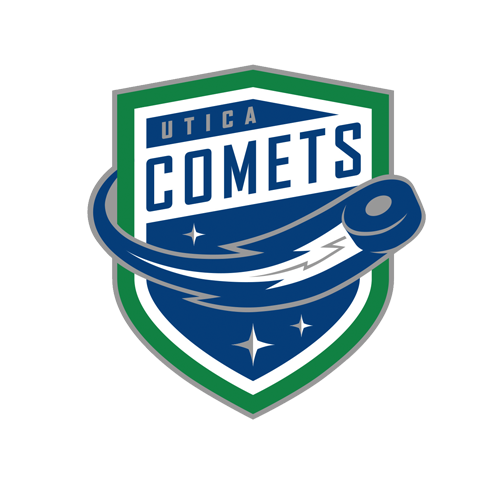 The Utica Comets created the Utica Jr. Elite Comets program, complete with a Mentorship Program. Each player on both the 2004 and 2006 elite teams was paired up with a player from the Utica Comets through a mentor draft. The program facilitated on-ice and off-ice interaction amongst the youth and professional players. The excitement generated by the Mentorship Program will carried into the season, and embodied the Comets’ core values of growth, leadership, and development. The DebUt: Green was the most popular word at The AUD this season, and that has little to do with conversations around head coach Travis Green. During the off-season, the Comets announced their first ever alternate jersey and logo. The jerseys got off to a great start when Joe Cannata blanked arch-rival Syracuse in a 4-0 win. On the season the green jerseys provided the home team with a bit of luck as the Comets posted a 7-3-0-1 record, and outscored teams 33-20 in them. The Boys Are Back: The four day stretch from Nov. 4 to Nov. 7 brought back several fan favorites to The AUD. It started on Nov. 4 with Darren Archibald’s first game back with the Comets. After a knee injury suffered in the playoffs last year, ‘Archi’ started the year off in the ECHL. After a successful handful of games, he signed a PTO with the Comets. He sent the crowd into a frenzy with a goal on his first shot of the game. Two days later, goaltender Jacob Markstrom donned a Comets jersey for the first time since the Calder Cup Finals. With quotes like "I was really looking forward to being sent down - it was the first time I looked forward to being sent down”, and “You guys (the fans) were unbelievable. Thank you guys. It was the best time of my life playing hockey,” it is hard to tell who enjoyed Markstrom’s return to Utica more, the player or the fans. Gladiator: Rookie Joseph LaBate did not make the wisest decision of his early career on Nov. 25th, but it was certainly a night he, and those who watched, will remember. During a fight with the 6’7” Samuel Morin of the Lehigh Valley Phantoms, LaBate was gruesomely bloodied. He would head to the locker room to get stitched up by Comets Athletic Trainer Dustin Flynn. Minutes after returning to the ice, LaBate scored his first career professional goal with a wrist shot from the left circle. The Comeback in ‘Cuse: Things looked dire for the Comets who were down 2-0, in enemy territory, shooting at an Olympian in net, and the Crunch so far perfect when they have a lead after two periods of play. That did not stop the boys in blue from delighting the Comets faithful that were in the arena and watching on TV at home. Nicklas Jensen and Wacey Hamilton scored just 54 seconds apart to tie the game before Alex Friesen jammed home the game-winning goal that prompted loud “U-TI-CA” chants for the game’s final minutes. Fireworks Over Springfield: The Utica Comets rode six consecutive goals, three power-play goals, and Hunter Shinkaruk’s four-point night, to their seventh consecutive road victory when they defeated the Springfield Falcons 7-4 at the MassMutual Center back on Dec. 18th. After the Comets fifth straight goal, the Falcons put their noted tough guy, Eric Selleck, on the ice while on the power play. Right from the drop of the puck, Selleck went right after Jon Landry. Landry turtled on the ice as Selleck continued to throw punches. The incident drew a crowd, and a response, as both team’s head coaches got into a heated verbal sparring match from the bench. NHL’ers in Utica: Comets fans were treated to seeing mainstay NHL players this year. Veteran of 700+ NHL games, Chris Higgins, first round draft pick, Jake Virtanen, and Brandon Prust all called Utica home for a short while. Higgins went out with a bang when he posted a hat trick in his second to last game as a Comet. 100: The Comets and Travis Green made history when each notched their 100th regular season win with a 1-0 overtime thriller over the Albany Devils on Jan. 16 at the Utica Memorial Auditorium. The 100th win came in the franchise’s 191st game, and increased the team’s all-time record to 100-67-15-9. The Comets finally solved the riddle that was the Albany Devils thanks in part to heavily outshooting them 44-14, which included a 17-1 advantage in the first period. Carter Bancks (1-0-1) provided the lone goal for the Comets 3:05 into overtime, while Richard Bachman earned his first shutout as a Comet with 14 saves. Zalewski’s Rise: New Hartford, NY native Michael Zalewski started the year on an AHL contract. His remarkable rise during his sophomore season earned him a rare in-season NHL deal and call-up with the Vancouver Canucks. With 33 points in 58 games, Zalewski nearly tripled his 12-point rookie season output en route to being named the team’s Most Improved Player by Travis Green, and the team’s Most Valuable Player by the local media. Welcome to the Big Time: The Jr. Elite Comets Program spent a weekend in January living as pro hockey players. 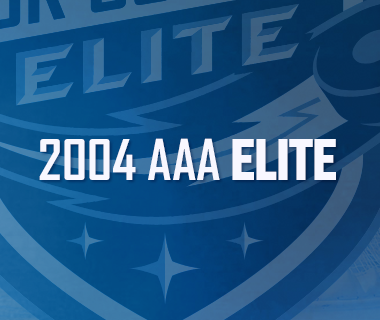 The 2004 and 2006 teams loaded up on a Birnie Bus, just like the Comets did, and stayed at the same hotel as the professional players during the Jan. 22-24th trip to Toronto. Both the pro teams and the two elite teams played two games in Toronto before they headed home for the weekend. History Books: Brendan Gaunce’s overtime goal five seconds into overtime on Feb. 9, tied an all-time American Hockey League record for fastest goal to start overtime. Gaunce added to his personal mark collection by scoring his first career NHL goal this season for the Canucks back on Oct. 30 against the Coyotes. Clinton Comets Appreciation Night: The centerpiece of the Save of the Day Foundation’s fundraising efforts brought the Clinton Comets back for one night. The post-game jersey auction of the throwback jerseys, and the introduction of the mystery boxes helped raise over $345,000 for the foundation this season. 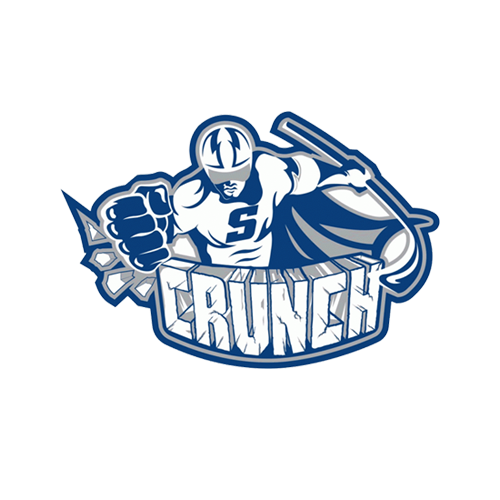 Blanked the Best: The far-and-away consensus best team in the AHL this season, the Toronto Marlies, were handed the shock of their season when they visited The AUD on Mar. 4th. Joe Cannata’s 33-save shutout performance in the 4-0 win stood as the only time the league’s highest scoring team were blanked this season. 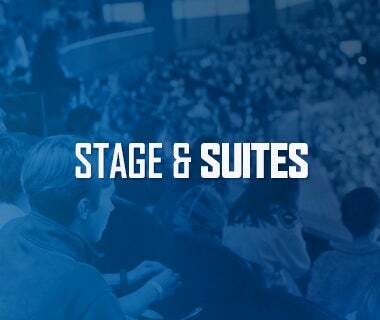 Ticket Punched: As Meat Loaf once sang, “Two Out of Three Ain’t Bad”, and that is exactly what the Comets did in regards to participating in the Calder Cup Playoffs. For the second consecutive year the Comets played well enough in the regular season to be invited to the annual postseason tournament. The team’s OT loss to the St. John’s IceCaps on April 9th gave the Comets exactly what they needed to clinch spot and freeze out the Crunch. DA-NUH-NUH DA-NUH-NUH: Richard Bachman made an appearance on ESPN SportsCenter’s daily Top 10 with a ridiculous behind-the-back glove save. Bachman’s remarkable save landed at the #2 spot on the list on Apr. 12th and made its way through all of hockey’s social media. 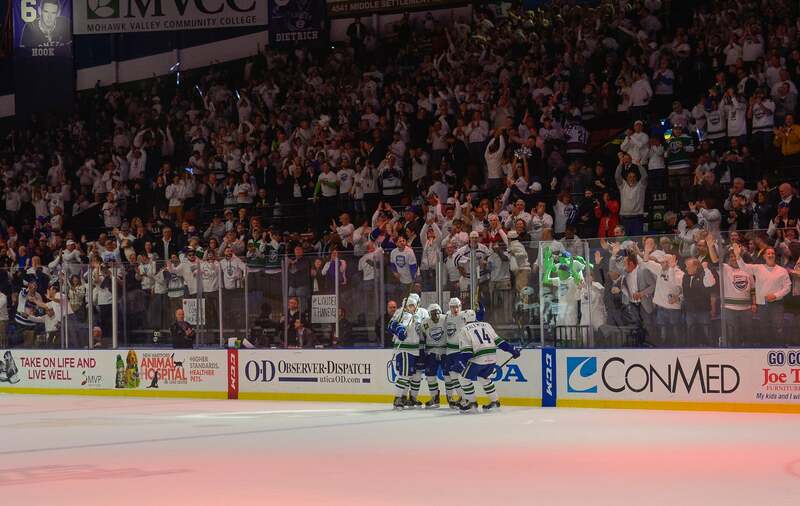 #LouderThanEVER: It may have been a short-lived playoff run, but once again Comets fans did not disappoint. The raucous Comets crowd made their mark on Game 3 and propelled the home team a 2-1 overtime victory. Zalewski’s heavy forecheck and forced turnover paved the way for Grenier to easily tap the puck into the empty net for the game-winning goal. $347,173: Total money raised by the Save of the Day Foundation. $60,466: Amount raised for Clinton Comets Heritage Night. $50,155: Amount raised for Fan Appreciation Day (Green sweaters auction, mystery boxes). 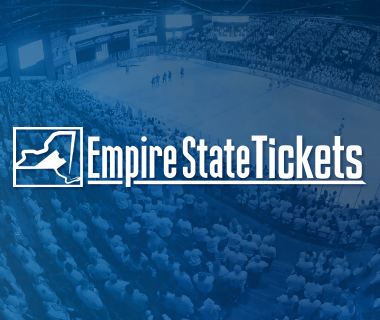 3,300: Season Ticket Holders this season, the third most in the American Hockey League. 850: Prizes redeemed through the new Comets Reward program. 224: Total goals scored this season, five more than the 2014-15 team (most in franchise history). 140: Community appearances made by Comets players. 121: Goals scored on the road this year, third most in the league. 114: Transactions made by the Comets this season. 80: Games played by both the Comets and Carter Bancks this season. 76: Donations made by the Save of the Day Foundation. 55: Consecutive sellouts of Comets games at The AUD. The streak dates back to April 10, 2014. 48: Players appeared in a game for the Comets this season. 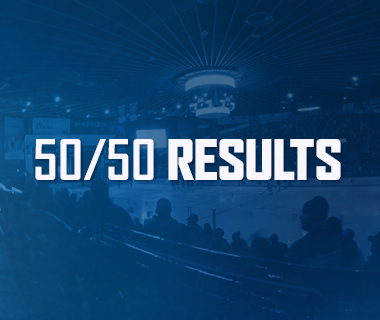 40: All 40 home games at The AUD sold out this year. 17: Short-handed goals scored this season, led the AHL. 13: Different players played for both the Canucks and Comets this year. 11: Home games in a row the Comets recorded a point, a franchise record (Jan. 13-Mar. 18). 9: Comets players who scored 10 or more goals this season. 8: Franchise record road winning streak (Nov. 22-Dec. 26). 4: Comets players who made their NHL debuts this season (Grenier, Pedan, Gaunce, Friesen). 3: Years in a row the Comets won the Galaxy Cup. 2: Hat tricks scored against Providence. (Also as many games played against Providence). 1: Shot allowed in the first period against Albany on Jan. 16 (franchise record).